The Sun Goddess Tour Feat. 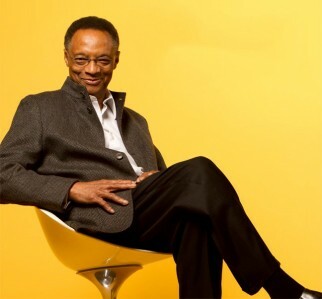 Ramsey Lewis is a legendary jazz pianist who has long straddled the boundary between bop-oriented jazz and pop music. Most of his recordings (particularly by the mid-’60s) were very accessible and attracted a large non-jazz audience. In 1956, he formed a trio with bassist Eldee Young and drummer Red Holt. From the start (1958), their records for Argo/Cadet were popular, although in the early days, they had a strong jazz content. In 1958, Lewis also recorded with Max Roach and Lem Winchester. On the 1965 albums The In Crowd and Hang On, Ramsey made the pianist into a major attraction and from that point, on his records became much more predictable and pop-oriented. In 1966, his trio’s personnel changed with bassist Cleveland Eaton and drummer Maurice White (later the founder of Earth, Wind & Fire, which Ramsey helped form) joining Lewis. In the 1970s, Lewis often played electric piano, although by later in the decade he was sticking to acoustic and hiring an additional keyboardist. In 2004 he released Time Flies, a look back at some of his most popular songs through new recordings. Lewis was the first artist to play Anthology and has received five gold records and three Grammy Awards so far in his career. Lewis is artistic director of Jazz at Ravinia (an annual feature at the Ravinia Festival in Highland Park, Illinois) and helped organize Ravinia’s Jazz Mentor Program. Ramsey also serves on the Board of Trustees for the Merit School of Music, a Chicago inner-city music program and The Chicago High School for the Arts, the new public arts high school in Chicago. He is also an esteemed jazz educator. In January 2007, the Dave Brubeck Institute invited Lewis to join its Honorary Board of Friends at the University of the Pacific in Stockton, California. Lewis is an Honorary Board member of the Chicago Jazz Orchestra. In May 2008, Lewis received an honorary doctorate from Loyola University Chicago upon delivering the keynote address at the undergraduate commencement ceremony. On September 20, 2011, Lewis released his latest (80th) album entitled Ramsey, Taking Another Look. On the ten song album, Lewis and his Electric Band reimagined Lewis’ favorite tunes including songs by Stevie Wonder and Earth, Wind, & Fire.